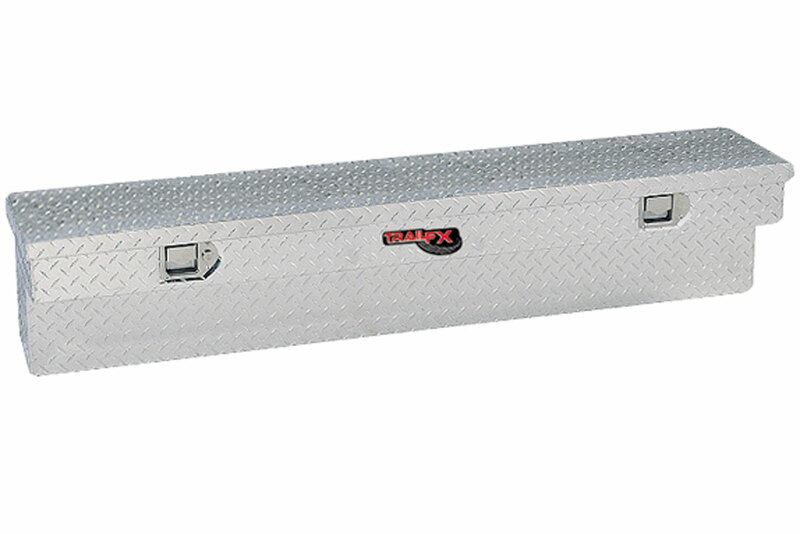 Side Mount Tool Box - Accessories Inc.
Three lengths available: 48, 60, and 72 inches. The body of the TrailFX box also features fully welded TIG seams and the built-in small parts storage bin, a patented feature. The built-in small parts storage bin adds strength to the end of the box. Others in the industry tack weld in additional pieces of metal to accomplish a similar result with inferior strength. TrailFX does not compromise.